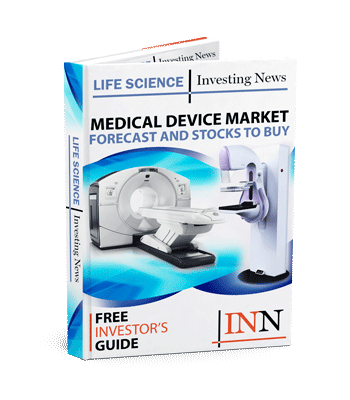 The three life science companies on the latest list are Avita Medical, Repro Medical Systems and Sterotaxis. OTC Markets Group officially released its OTCQX Best 50 list on Thursday (January 24), scoring the top companies on the OTCQX exchange during the calendar year. Companies on the list span a wide range of industries — from resource to technology to cannabis and, of course, life science — and are ranked on equal weightings of total one-year returns and average daily dollar volume increases. This year’s best 50 companies pulled in a collective US$19.3 billion dollar volume last year and provided investors with an average total return of 21 percent. “The diversity of the 2019 OTCQX Best 50 demonstrates the value of the premium OTCQX Market to provide tangible benefits and drive value to the broadest array of companies spanning all sizes, industries and geographic regions, from well-capitalized US community banks to Mega-Cap foreign exchange-listed Global brands,” Jason Paltrowitz, director of OTC Markets Group International and EVP of corporate services, said in the release. While most companies on the list fall under resources, several life science companies — all of which are medical device-related — also made an appearance. Read on below to find out which companies made the list. First on our list and the seventh top company overall on the 2019 OTCQX Best 50, Avita Medical is a regenerative medicine company which has a technology pipeline catered to unmet medical needs in burns, chronic wounds and aesthetics indications. The company’s first US product, called the RECELL System, was approved in September 2018 by the US Food and Drug Administration and is used to treat acute thermal burns in patients 18 years and older. The device enables healthcare professionals to produce a suspension of Spray-On Skin Cells using samples of the patient’s own skin. Avita Medical is currently researching therapeutic applications for the system, which is used globally and treats a wide range of skin defects. Avita Medical began trading on the OTCQX on March 12, 2012 and is also listed on the Australian Securities Exchange. Second on this list and 12th on the 2019 OTCQX Best 50 is Repro-Med Systems, which now operates as RMS Medical Products. This company develops and manufactures medical devices and a range of supplies. Repro-Med’s main focus is on speciality infusion solutions with its primary products ranging from: the Freedom60 and FreemEdge, DynEQ Infusion Systems, RMS Precision Flow Rate Tubing, HIgH-Flo Subcutaneous Safety Needle Sets and the RES-Q-VAC Hand Held Medical Suction. The company has been trading on the OTCQX since September 18, 2015. The final medical device company to grab a spot on the list — which also falls under the tech category — is Stereotaxis. Stereotaxis lands 25th on the 2019 OTCQX Best 50 list and develops robotic technologies to treat arrythmias and to perform endovascular procedures. Its Epoch Solution includes the Niobe ES remote magnetic navigation system, the Odyssey portfolio of lab optimization, networking and patient information management systems and the Vdrive robotic navigation system and consumables. For these products, the company has received regulatory clearance in the US, European Union, Japan, Canada and China to name a few. Shares of the company have been listed on the OTCQX ever since August 4, 2016 after being delisted from the NASDAQ Stock Market LLC.